Thank you to all that came to the presentation evening last night. 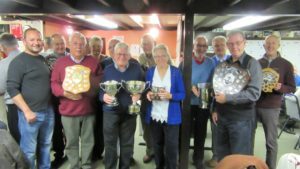 We had a lovely evening and Enid Maddock did a great job of presenting trophies to the winners. Well done to Cynth and Alan for organising the comps and to all that helped make last night a success. We are back from our tour of Spain, all safe and well. 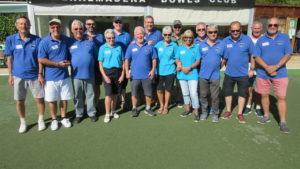 We played bowls against Benalmadena Bowls Club and lost well. Benalmadena were fantastic hosts.